Another good news beside my Kancil where my Celica is back in action. Back in this post, I mentioned about my Celica engine will jerk when trying to hit lift and the exhaust had metal rattling noise. 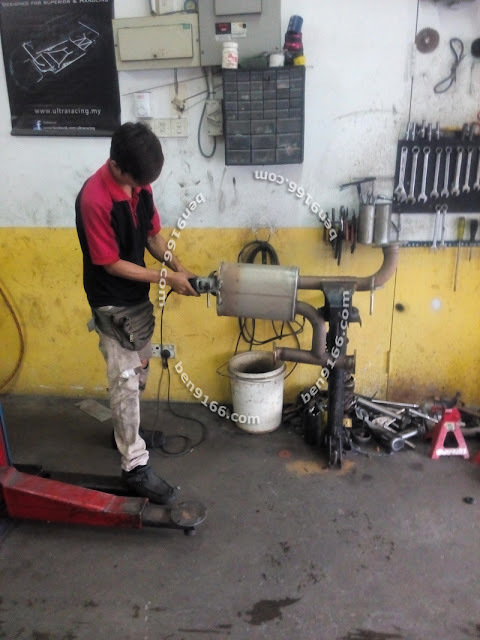 As usual, I took my Celica to "Chin" my mechanic to inspect where is the source that caused the exhaust rattling noise. After lifted up the car, we shook the exhaust system and found out the sound was from the muffler itself. Everything else from the exhaust system is still in good condition. 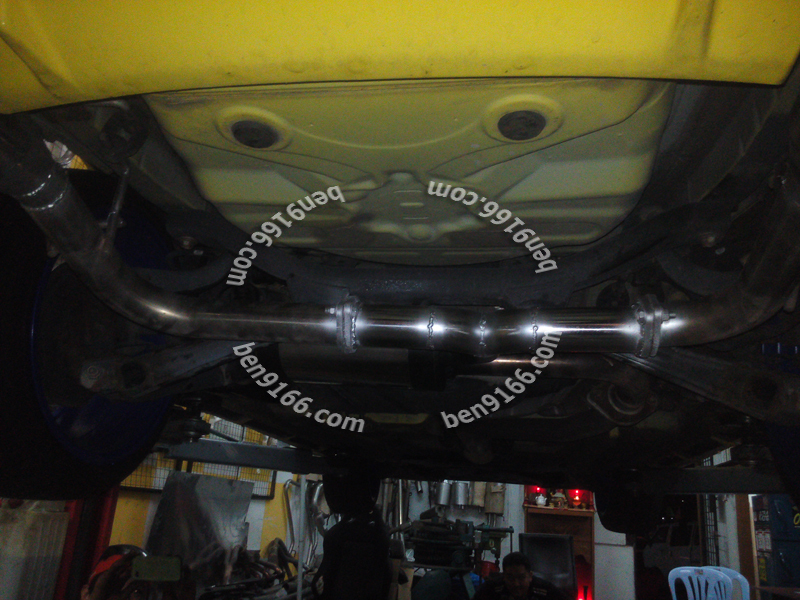 Thus I headed to the exhaust shop and had the exhaust system checked. The boss said that he needed to cut the muffler then only able to inspect the internal whether the muffler can be reused or not. What does the reuse means here is he can recondition the muffler by inserting the fiber back into it if the muffler is just out of fiber. Cutting time. Feed sad when looking at this moment. Here the internal parts of the muffler. Everything wore out. 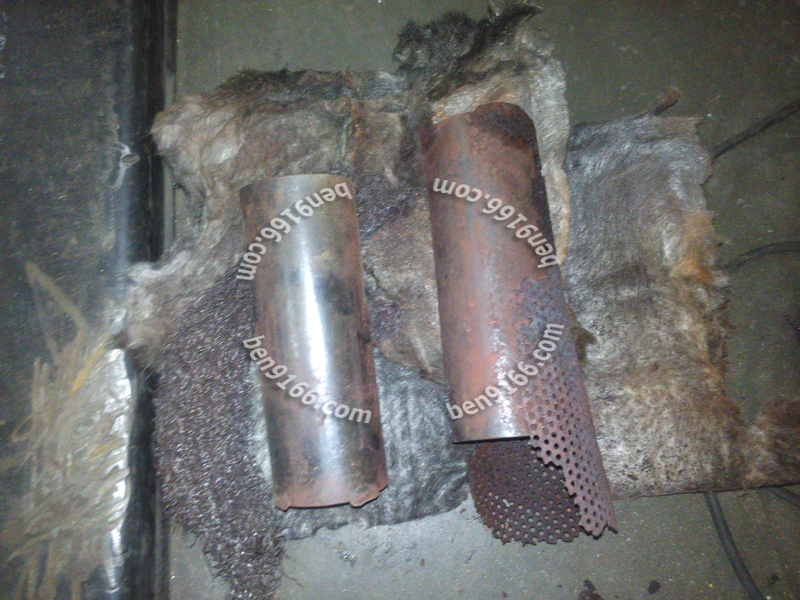 The fiber of the muffler just left whatever in the image and the metal net that covered up the 2 pipes and the fiber were gone as well. 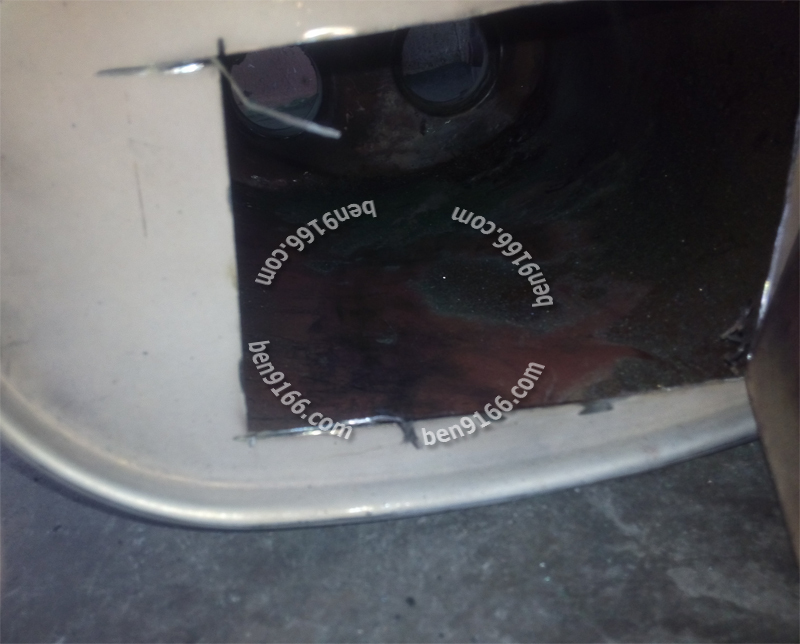 I changed the rear end of the exhaust piping to Y shape due to the original VARIS design- a T shape collector and then split into 2 was not really good and restricted the exhaust flow. I still re-use the VARIS exhaust tip because I like the design and size. Take a look at the old design (top) and new design (bottom). With the new exhaust muffler, the jerk when trying to hit lift has gone. Everything works perfectly and I plan to put back my Power-FC to get the engine tune again. By the way, remove the catalytic converter will be my next move when money and time allow.